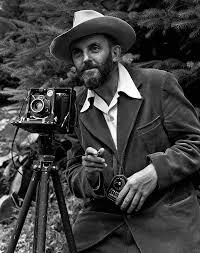 Even if you can’t name many famous photographers, you’ve probably heard of Ansel Adams. While this celebrated nature photographer was a San Francisco native, I believe Adams had the heart of a farmer. His work offers insights on how we can be more effective “ag-vocates.” Actually, his example will resonate with any of you who have a cause you’re passionate about. I’ve become more familiar with Adams, a pioneer in America’s conservation movement, through a photography class I’m taking at Reiman Gardens in Ames. Adams viewed nature as precious and wanted to give conservation greater value in society. 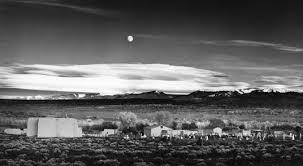 His stunning black and white landscape photographs of the American West portray this spirit. Adams’ work also reflects the countless years he spent studying the places he photographed. 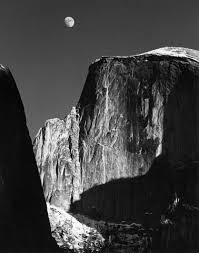 It’s clear his iconic images like “Monolith—the Face of Half Dome” (shot in Yosemite National Park) and “Moonrise, Hernandez, New Mexico” were captured at the precise moment when the image would capture the most beauty and convey the greatest emotional impact. Adam’s unforgettable images reflect the soul of someone who was intimately familiar with the region’s weather patterns. Someone in tune with the rhythms of nature. Someone who cherished the land and pondered people’s relationship to the land. Sounds like an Iowa farmer to me. 1. Show up. Like Adams, who returned time and again to photograph the places he loved, ag-vocates must show up. Never forget the wisdom of filmmaker Woody Allen, who noted that “80 percent of success is just showing up.” Good places to start are local grassroots organizations like the Iowa Corn Growers Association, the local county Farm Bureau, Iowa Soybean Association, Iowa Cattlemen’s Association, Iowa Pork Producers Association, Iowa Turkey Federation, Practical Farmers of Iowa or other ag groups. Don’t stop with your membership. Be willing to volunteer and serve in leadership positions, too. Everyone, including you, has something of value to give. 2. Speak up. Adams used his compelling visual images to speak up for the things he held dear in life. If you take photos of life on the farm, you don’t have to be the next Ansel Adams before you share your images on social media, at the county fair, etc. Not a photographer? Use your voice to write letters to the editor on timely topics affecting agriculture. Speak up at meetings when ag issues are at stake. There’s a chance you may be one of the few voices sharing agriculture’s perspective, which makes your message even more essential. Last summer I attended a gathering near Redfield where Bill Stowe of the Des Moines Water Works spoke about how farmers are ruining Iowa’s water quality. I knew I was one of the few farmers in the group of about 30 people, but I stood up, introduced myself and challenged some of his assumptions as I explained the conservation practices on my family’s Century Farm in Calhoun County and told how we received an Iowa Farm Environmental Leader Award at the 2016 Iowa State Fair. While I was scared to share my story at first, I was surprised to receive a round of applause from the group. 3. Don’t give up. Adams, who died in 1984, spent a lifetime portraying his philosophical vision of the land and people’s relationship to it. Just like Adam’s work, ag-vocating isn’t a once-and-done job. It requires patience and persistence. By showing up, speaking up and not giving up, you, too, have the power to leave a legacy that forever changes the way others view the world. This originally appeared in my column in June 2017 in Farm News. Nice angle on the iconic figure in American lens history!